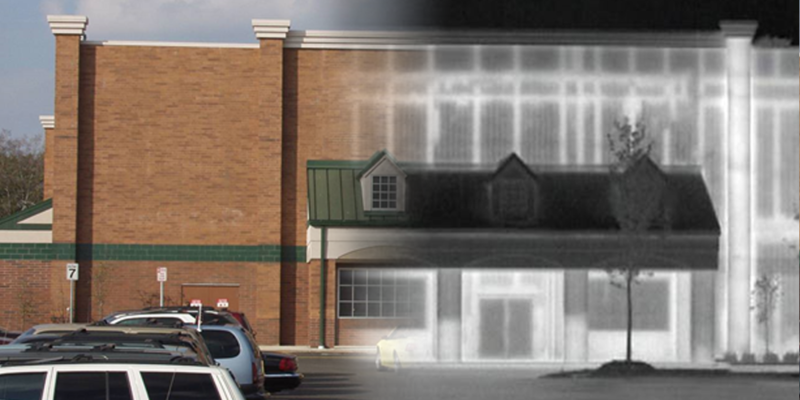 ElectriSCAN™ Division - Stockton Infrared Thermographic Services, Inc.
Electrical switchgear testing is now an integral part of any facility manager’s preventative/predictive maintenance (P/PM) and annual or semi-annual inspections are required by most insurance companies. Resources include access to sample imagery, report examples, articles and white papers. MechaniSCAN™ provides information on PdM techniques for mechanical components. 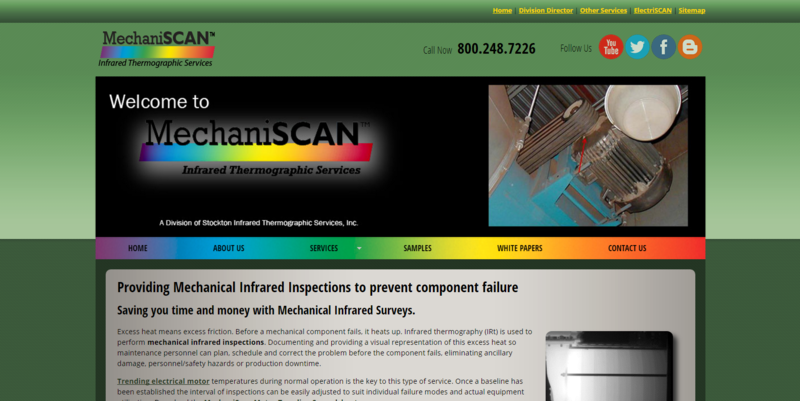 Infrared thermography is used to perform inspections on mechanical equipment because excess heat means excess friction. Before a mechanical component fails, it heats up. 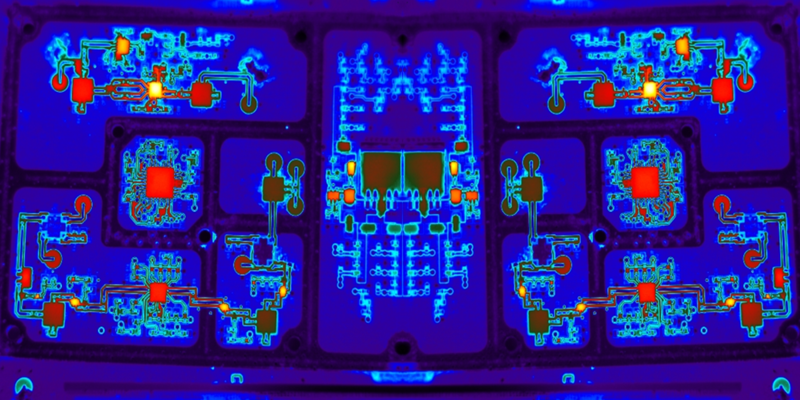 Thermography is used to see the excess heat so that maintenance personnel can act to correct problems before the component fails and causes damage, safety hazards and/or production downtime. 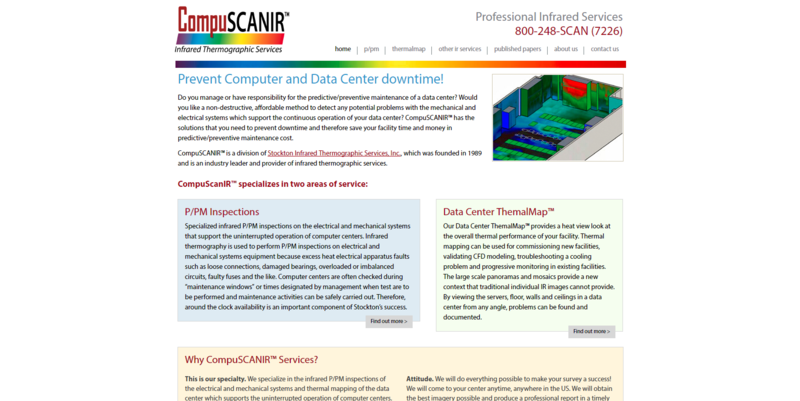 CompuScanIR™ is the service line of our ElectriScan™ Division which provides infrared surveys of data centers. CompuSCANIR™ thermographers specialize in the infrared inspection of the electrical and mechanical systems that support the continuous operation of data centers. If you manage or operate a data center, CompuSCANIR™ has the solutions that you need to prevent downtime and therefore save your facility time and money in predictive/preventive maintenance cost. Specialized infrared P/PM inspections on the electrical and mechanical systems that support the uninterrupted operation of computer centers. Infrared thermography is used to perform P/PM inspections on electrical and mechanical systems equipment because excess heat electrical apparatus faults such as loose connections, damaged bearings, overloaded or imbalanced circuits, faulty fuses and the like. Computer centers are often checked during “maintenance windows” or times designated by management when test are to be performed and maintenance activities can be safely carried out. Therefore, around the clock availability is an important component of Stockton’s success. 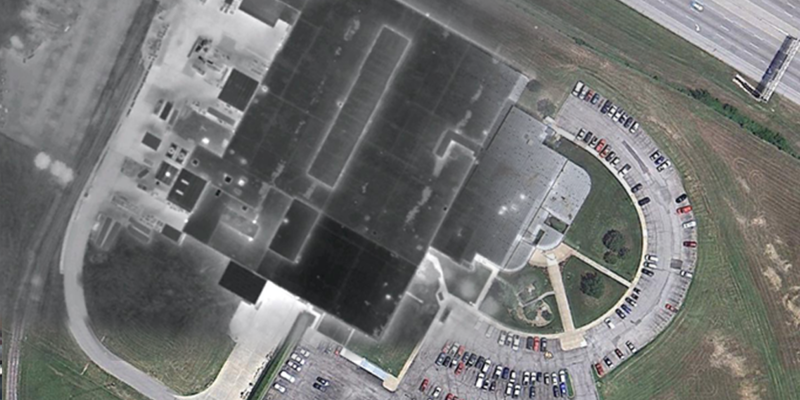 Our Data Center ThemalMap™ provides a heat view look at the overall thermal performance of your facility. Thermal mapping can be used for commissioning new facilities, validating CFD modeling, troubleshooting a cooling problem and progressive monitoring in existing facilities. 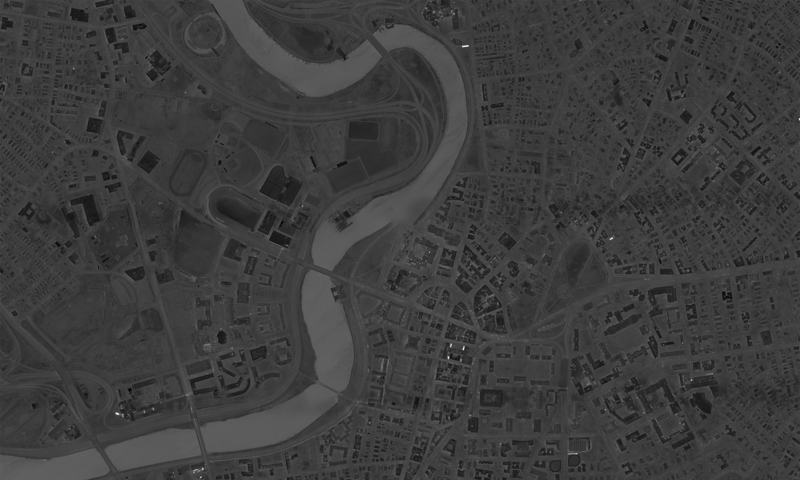 The large scale panoramas and mosaics provide a new context that traditional individual IR images cannot provide. By viewing the servers, floor, walls and ceilings in a data center from any angle, problems can be found and documented. 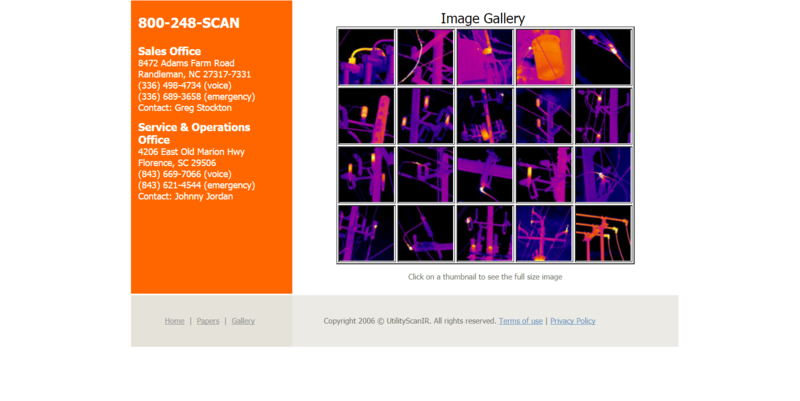 Using utility company system maps, UtilityScanIR™ experts quickly and efficiently drive the distribution system lines with state-of-the-art navigation and IR imaging systems and record all imagery and GPS position data onto digital storage devices. When a problem is discovered, they mark the area on the map and immediately produce reports detailing the fault information so that repair crews can be mobilized to remedy the problem. 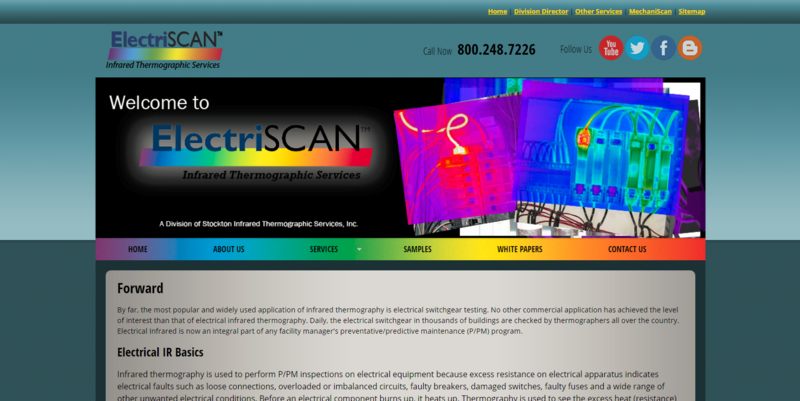 Visit the ElectriSCAN™ Division website here!